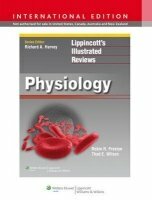 The addition to the popular "Lippincott's Illustrated Review (LIR)" series, this comprehensive review of Physiology enables rapid review and assimilation of large amounts of complex information about the essentials of medical physiology. In keeping with the "LIR" series, "LIR Physiology" includes the popular features of the series: abundance of full-color, annotated illustrations; expanded outline format; chapter summaries; review questions; and case studies that link basic science to real-life clinical situations. The book can be used as a review text for a stand-alone physiology course in medical, health professions, and upper-level undergraduate programs, or in conjunction with other "LIR" titles for integrated courses.